Hola, fall is over and winters are finally here! Aside from the entire chill in the air, gifts and Christmas tree…without holiday fashion, your Christmas will be boring. Do you agree? The first thing you need is to find good Christmas colours like green, red, white and maybe even black just to make it more exciting and cool. Maybe you don’t have to have all those colours all together but you should at least have red. It’s no secret that both little girls and boys love dressing in fun stylish clothes and now that winter season has officially arrived, there are countless numbers of fashionable looks that your children can try out. 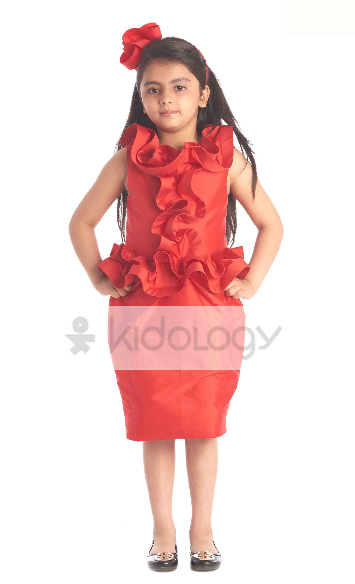 You can check out latest fashion and collection of designer kidswear on Kidology.in and various other reputed brands. Make the most by availing deal of the week on Kidology. As a stylish parent, it is likely that your kids will always try to copy your on-trend outfits and this season is filled with fashion forward looks that any little girl/boy will love dressing up in. Let’s start with girls and winter holiday dresses. If you ask me what is the first thing I think of when you mention the holiday season, we would say sparkles! You need a dress with sparkles on it. Sparkles will always catch people’s attention. Your shoe should also be sparkly, matching the dress. To be fancier, how about a sparkly jacket? Ruffles are not only fun and festive to wear but they can actually transform a young lady’s attire. They add volume and dimension and have a dramatic flair. Shop for designer dresses online or in stores that have ruffled skirt or hemline. The great thing about ruffles is that they can be dressed up or down which makes them ideal for any occasion. Lets talk about trends for our little gentleman that sets them apart from boys and what better than a bowtie that loudly speaks about it. Bowties never go out of fashion and they are an instant hit with boys across all ages. Whether they are sold solo or sewn onto a shirt, you want to ensure that you are stocked up with this playful accessory in your wardrobe. Nothing looks more adorable than that little boy or girl being layered up with designer clothes. It takes their style to a whole new level while being functional and fashionable. 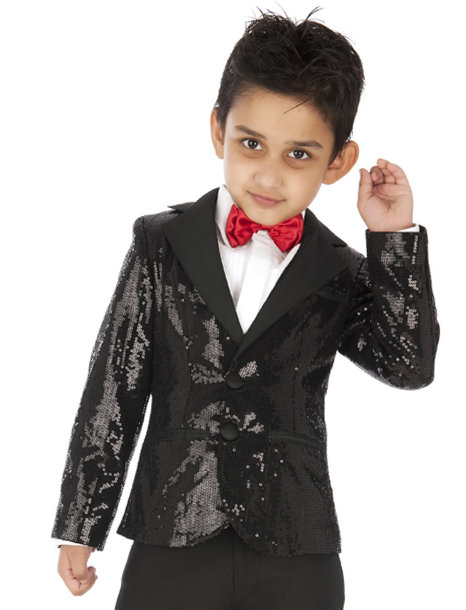 When trying to shop for layered boys’ looks, lets start with button down jacket, adding to it could be trendy glittery jacket. For your little princess, shop for shrug or a trench coat that adds punch of fun colors. Winter fashion is not only about wearing something related to holiday season but it’s also about the way you want to look, the way you act, the way you to express yourself and cheer up the people around you. So dress you kids with clothes that make you happy. So cute Pink Trench coat! I like it.